Paneer Kheer is a delicious Indian sweet dish prepared with paneer (cottage cheese) and milk. It is a 100% gluten-free Indian pudding. You will be surprised to know that only 5 – ingredients are required to make this paneer ki kheer. Or I must say only 4 if you are making paneer at home from the milk. 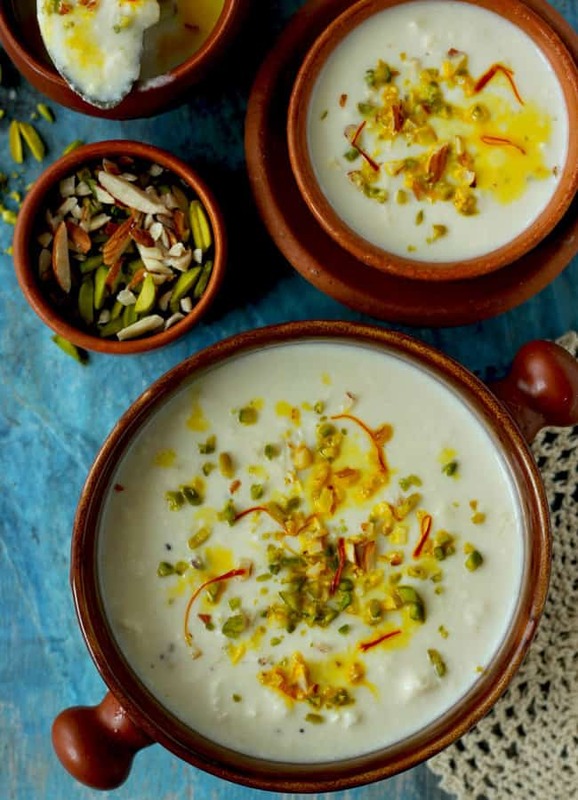 Chenna Kheer is a fuss-free, easy to cook and guaranteed delicious dessert. Since I landed on this paneer recipe, it is a regular affair for any auspicious occasions or the family dinner parties. And everybody absolutely loves it to the core. For making paneer kheer you can use either the readymade paneer or the homemade one. Many authentic Bengali recipes suggest making paneer from scratch for their beloved chanar payesh. The idea is to have small chunks of paneer swimming in the flavorsome, thickened milk. The cottage cheese prepared at home has soft, uneven lumps and those tastes absolutely mouth melting once cooked in the milk. It tastes like a deconstructed or a crumbled version of another popular Indian dessert – ras malai. 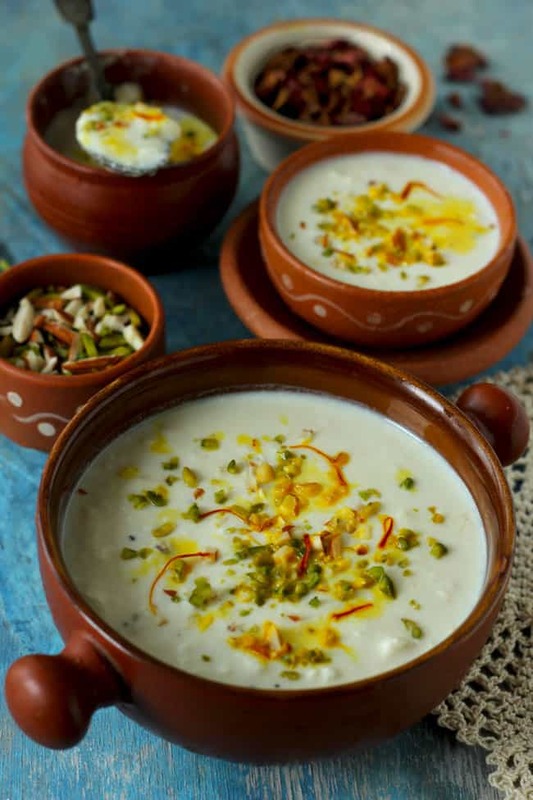 You can say the taste and texture of paneer ki kheer are very similar to rasmalai. How To Make Paneer (Cottage Cheese) At Home? Boil approximately one liter of milk over medium heat. Once the milk comes to a boil, reduce the heat to low. Next, add the juice of one lemon in the milk. While adding the lemon juice, make sure seeds of lemon do not get in there. Stir to combine the lemon juice in the milk. Soon you will notice that the milk starts curdling. And the thick chunks of cottage cheese starts forming in the milk. Cook the milk for 5 – 10 more minutes so that the cottage cheese and whey (it is the liquid remaining after milk has been curdled) are nicely separated. Next, arrange the fine strainer over a deep bowl. Pour the entire curdled milk over the strainer. Rinse the cottage cheese with running water to remove traces of lemon juices. Let it sit in the strainer for 5 – 10 minutes. Homemade cottage cheese is now ready to be added in the kheer. 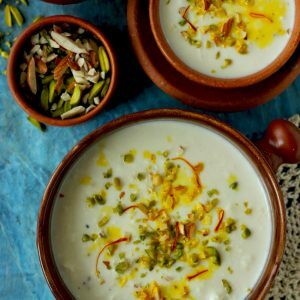 This is a super easy paneer kheer recipe for the upcoming festive celebrations made without condensed milk and still, it is so creamy. 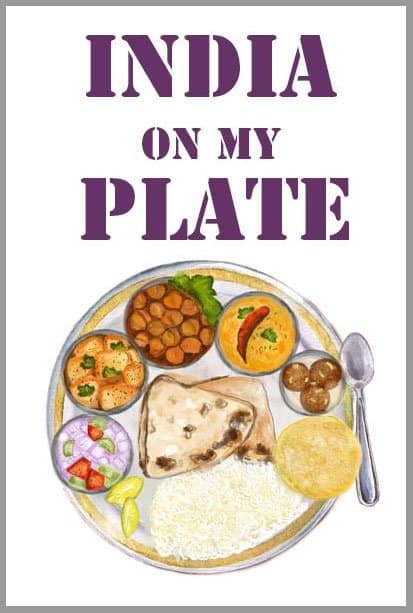 Perfect for your gala dinner table along with other Indian delicacies. I am sure this one is going to win you many compliments and of course the request for a recipe as well. Paneer Kheer is a delicious Indian sweet dish prepared with paneer (cottage cheese) and milk. 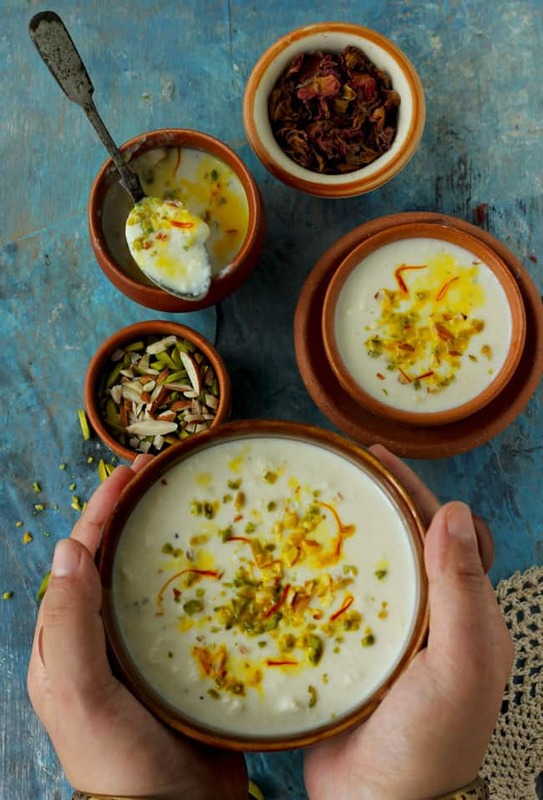 Learn how to make delicious paneer ki kheer in a few simple steps. Combine 1 tablespoon of warm milk and saffron strands. Set aside. Crumble the paneer using your fingers. Do not make a fine mash of it. Heat milk in a heavy bottom saucepan over medium-high heat. Add the cardamom powder and allow the milk to simmer until it reduces almost half the original amount. Keep on stirring the simmering milk at regular intervals. Collect the cream (malai) from the sides of the pan and add it back to the milk. Once the milk has thickened and reduced in quantity, add the sugar and saffron. Stir to mix nicely. Now add the grated paneer in the milk and cook for 5 – 10 minutes. Turn off the heat. Allow the paneer kheer to cool completely before keeping in the fridge. It is best served chilled. Garnish with sliced pistachio and almonds before serving.